Circa 1890 photograph of Caleb Manfred Maddocks [Maddox], wife Minnie M. (Hatch) Maddocks and two of their children, Frank A. Maddocks on his father's lap, and Linwood Willard Maddocks. They lived at Nobleboro, Maine. The photograph was taken by the studio of Z. 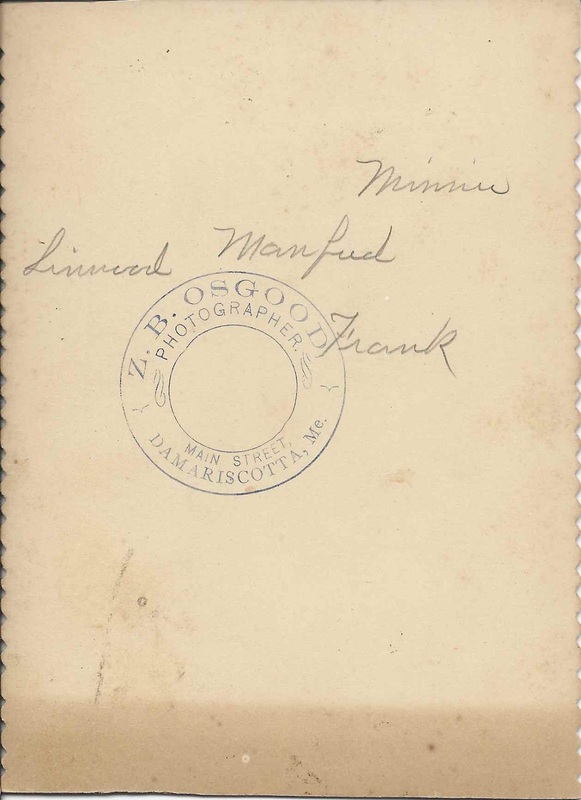 B. Osgood of nearby Damariscotta, Maine. The photograph was found with another one that has two young women and a young man in it. 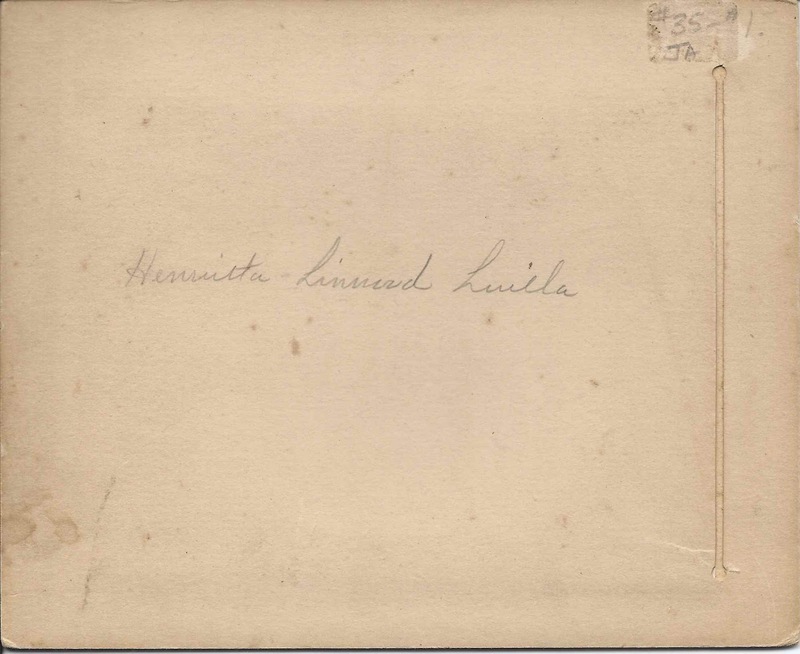 They are identified in the same handwriting as that on the Maddocks family photograph, by first name only, as Henrietta, Luella [or Luilla], and Linwood. It's possible that Linwood is the Linwood Willard Maddocks of the Maddocks family photograph. 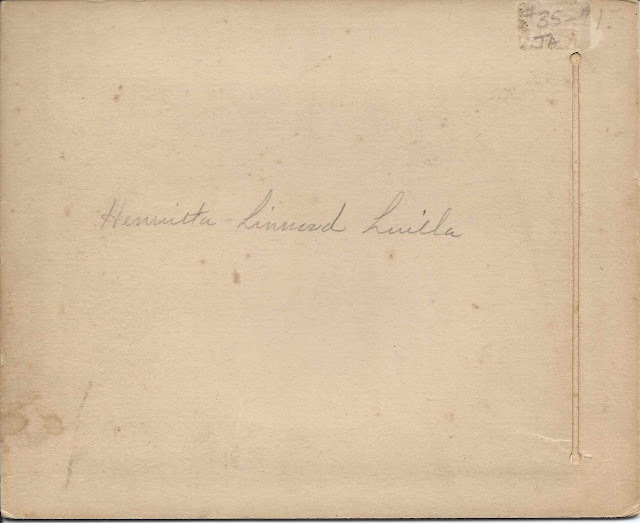 If you have an idea of the identities of Henrietta, Luella and Linwood, please leave a comment or contact me directly. Thanks! 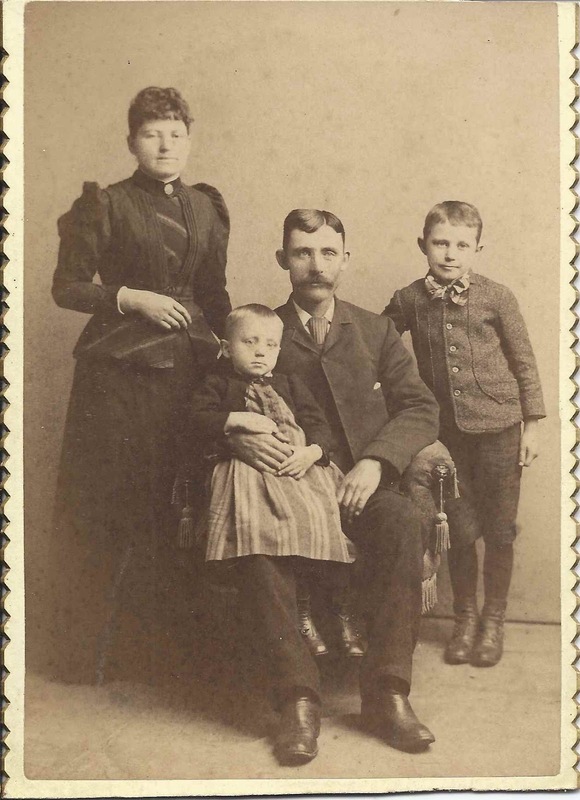 Caleb Manfred Maddocks [Maddox] was born 18 September 1854 at Nobleboro, Maine, son of Caleb and Priscilla H. (Perkins) Maddocks. 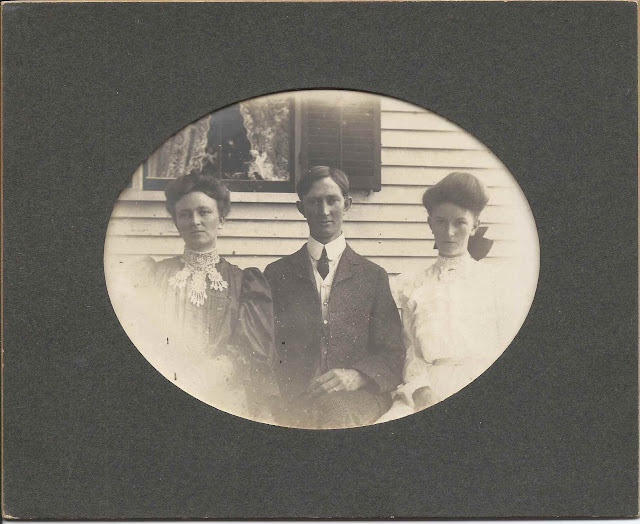 Note: see another post for a photograph of Dr. Herbert Hall Plumer, who was the son of Charles Abraham Plumer and Mary Amanda (Maddocks/Maddox) Plumer. Mary Amanda was a sister to Caleb Manfred Maddocks. On 22 November 1879 at Nobleboro, Maine, he married Minnie M. Hatch, daughter of Frederick Augustus Hatch and Lydia Jane (Hall) Hatch. Minnie was born 7 April 1856. The couple spent their lives at Nobleboro, Maine. Minnie died 15 November 1912. Caleb Manfred Maddocks died in 1949. Linwood and Frank had an older sister Edith M. Maddocks, who was born about 1880. I'm not sure why she's not in the photograph, but she may have died young, though I couldn't find a death record for her. The boys had a younger sister Marion who was not yet born at the time the photograph was taken. Marion married Harold S. Chapman. I didn't find marriage records for either Linwood or Frank. If you have corrections to the information above or insights into the identities of the people in the second photograph, please leave a comment or contact me directly. Thanks! Hello, I am a Maddocks descendant. If you are not, would you be willing to part with these photos? I also am a Maddocks and my Uncle was Harold Linwood Maddocks, so named after the Linwood shown in the photo.